Sound can affect everything from human health to the well-being of wildlife, but there is very little data on the levels and types of sound in U.S. cities. But researchers are now launching a citizen science project aimed at creating a detailed audio map of Raleigh, creating what they hope will be a blueprint for similar efforts in other cities. “With this project, we want to get a clear picture of sounds in Raleigh, so that we can explore sound’s human and environmental impacts in a residential environment,” Carson says. 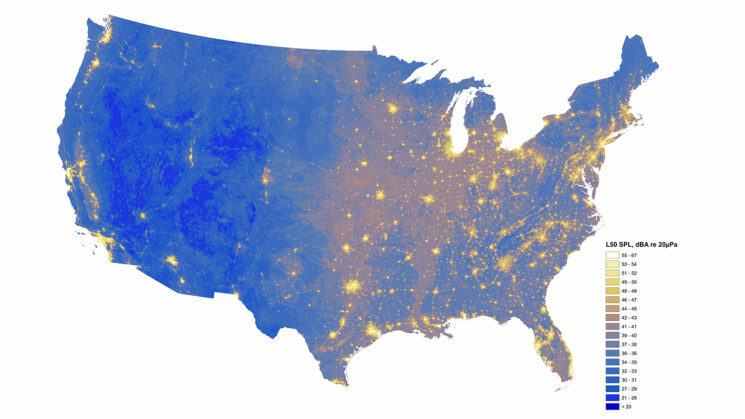 The National Park Service’s Natural Sounds and Night Skies Division has already created an audio map of the United States. But that map was made using a computational model that drew largely on audio recordings made at national parks and airports. “We are hoping to provide more audio data from residential areas, staring with Raleigh but – hopefully – moving on to other cities,” says Caren Cooper, a research associate professor of forestry and environmental resources at NC State who is leading the project. “The more data we can provide, the better the Park Service’s maps can be,” says Cooper, who is also assistant head of the Biodiversity Research Lab at the North Carolina Museum of Natural Sciences. To that end, NC State and the museum are partnering with the National Park Service and researchers at California Polytechnic State University and Boise State University to create the “Sound Around Town” project. But in order for the project to succeed, the scientists need the public’s help. Raleigh residents who want to participate can sign up at SoundAroundTown.org. Researchers will set up recording equipment – provided by the National Park Service – at a participant’s home for two weeks. Participants would also be asked to have several “listening sessions,” during which residents would follow specific instructions to write a log of what they are hearing, how loud it is, and the extent to which the sounds are pleasant or intrusive (which will help researchers separate “noise” from other sounds). The researchers will also be deploying air quality monitoring devices with the audio equipment. These devices will provide information that can be used to help analyze the correlation between air pollution and noise pollution.